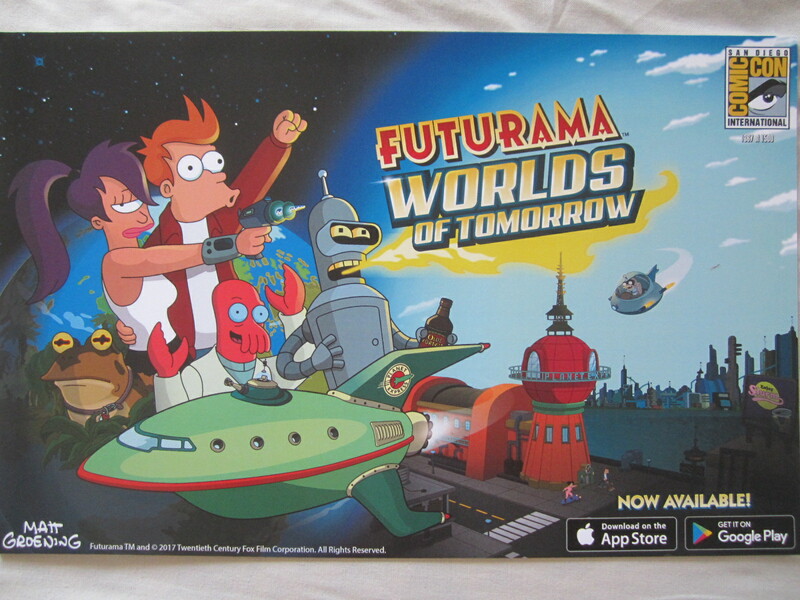 Mini 11x17 inch heavy paper poster distributed exclusively at 2017 Comic-Con to promote the Futurama Worlds of Tomorrow mobile game. Numbered out of only 1500 produced. ONLY 6 AVAILABLE FOR SALE.